Restaurant websites can be an extremely potential medium for harnessing the immense crowd that is available in the market. 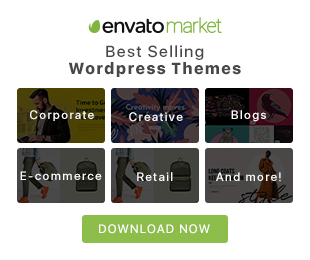 So if you are looking for a way to increase your restaurant`s sales, you can try these 20 WordPress Plugins Every Restaurant Website Must Have that will help you bring online users through your door and turn them into loyal customers. It is an easy to use restaurant menu management plugin for WordPress. Build unlimited food menu items for your restaurant, categorize them by dish type or meal type or build your own custom categories. Show off those delicious food images and various data like nutrition information, spicy level, recipe etc for each food menu item for your restaurant menu. Create unlimited combo products with different options and enable your customers to build their order easily in one page and see the price instantly. Available with different styling options and extended price calculator. It is the simple way to order various food items in a few seconds. This plugin helps you sell more and it is best for wholesale buyers. This plugin is also fully responsive and include additional features like image, search option, food information and add to cart button to enhance the user experience. It is designed to do exactly what its name suggests, enabling you to slot solid menu functionality into the restaurant site of your choosing. 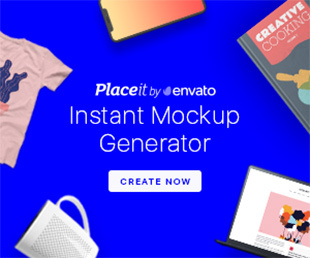 With rock solid ratings, handy tutorials, and a straightforward user guide to show you the way, this is a plugin you can start using with confidence on client sites in no time at all. Making reviews and testimonials accessible on your restaurant website makes your business more trustworthy and increases the likelihood of people interacting with your business. This plugin allows you to display Google reviews on your WordPress website. Why is this important? Positive reviews on websites like Google help businesses gain additional exposure and further enhance their online credibility. Register your restaurant on Google Maps and include the map on your website. This means that customers can find your restaurant in just a few clicks. This information is even more important when you think that customers are increasingly using their phones to browse online. It is a feature rich wordpress plugin to utilize google maps functionality without coding experience. People want to see what your business looks like and what kind of food you serve. Provide a photo gallery and show your value by showing that you have the very best, in terms of dining room, service, staff, and food. This plugin was built to help you building nice looking galleries using images pulled from various sources, like posts, attachments, pages, custom post types including WooCommerce products, Flickr, Instagram, Facebook, 500px albums, NEXTGEN Gallery, and even RSS feeds. Online reviews and ratings of your restaurant can drive hungry customers to your door or .. scare them away. It is a plugin for WordPress that allows you to insert reviews and comparison tables into your posts, pages and custom post types in a quick and easy way. If you need to create a gorgeous recap box for your full review post or just a simple but powerful user reviews system, this is the plugin you are looking for. If you are able to make a short video for your website, you will have a highly effective tool for selling and reinforcing your restaurant’s brand image. This plugin allows you to show a video presentation before your visitors get into the main content of your website. Invite your users to register their personal details and e-mail so you can update them with your latest promotions. It is a fully featured email newsletter plugin, including autoresponders, that gives you the power of a system like MailChimp, except without a subscription and it’s all inside of WordPress. With an increasing focus on mobile, Google is also spearheading a new initiative to improve the speed of pages loading on phones and tablets. This initiative is called Accelerated Mobile Pages or AMP in short. With this plugin, it takes just a couple of clicks to make your website go mobile. Easy integration to social media platforms such as Facebook, Twitter, Google+, provide a quick way for guests to visit the restaurant pages on these platforms and like and share with their friends. This extensive social sharing plugin for WordPress offers maximum flexibility and social media exposure by allowing you to share on more than 50 of the major social networks, including a wide range of mobile messengers. This is a great way for people to learn more about the restaurant concept and what your business represents. Are you sourcing food from local farms? Importing beef from the Himalayas? Is the restaurant named after your mom? Tell your visitors about it an “About Us” or “Our Story” section of the website. This plugin has it all. No matter the needs for a timeline, the six modes included cover all the timeline needs. Offer people who come more frequently a discount. This will get people to return to your restaurant time and again when perhaps they would have chosen elsewhere. This plugin is an all-purpose pricing and promotion tool for online retailers. Its power lies in its flexibility – loads of pricing methods and conditions can be combined to fit virtually any pricing strategy. You can include customer testimonials on your website or if your restaurant has been lucky enough to be featured in a publication such as a review by a restaurant critic in a newspaper you can link to this from your site. This will help to build your restaurant’s credibility. It is a plugin to display testimonials, reviews or quotes in multiple ways! It is software designed to provide a faster and more efficient online booking experience to your customers. The goal is to make it super-fast and easy for businesses to add their services and begin taking bookings online. If you’re looking to boost your sales, adding delivery service to your restaurant will help you distinguish yourself from the competition – or at least keep up with them. It is an online food delivery wordpress plugin working with WooCommerce,a lightweight and simple Theme and Windows Software to create your online delivery system for your fast food, pizzeria, cafe or restaurant. This plugin will present all the products in store at a single place in most user-friendly manner. So that customer no needs to search or navigate for the desired product through the website. By making the customer experience smooth and easy while shopping, you will get more orders and repeated customers. So why wait, simply install this awesome plugin and have a great business. Thank you for the this awesome plugin, i have used this on my web.